The past two nights have consisted of uninspired dishes that are hardly worth mentioning. However, that wouldn't be like me if I didn't mention them anyway! Enjoy! 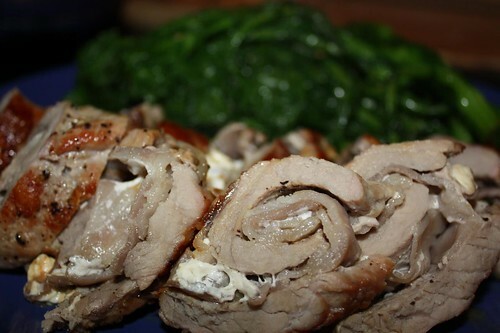 On Tuesday I made some veal scallopini which I wrapped up with pancetta that I'd forgotten to put in the previous night's pasta. It worked out for the best because the pasta arrabiata had been delicious enough without the need for cured pork to be added to the mix. Tonight I made tacos with everything left to clear out of the fridge. 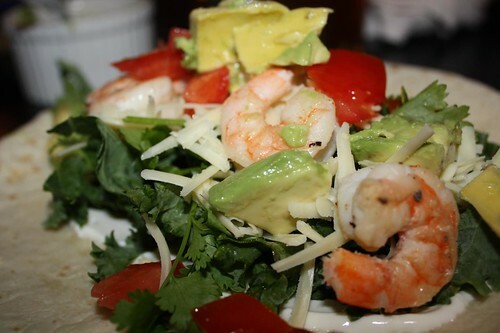 I used up some shrimp from the freezer, chopped up some kale, sliced watermelon, shredded cheddar, chopped tomato, and served it up to make our own tacos. Perhaps Memorial Day will lend way to much more interesting fare. Or just some grilled stuff. We'll see.